Enjoy a 6 multi day tour through Salamanca, Oporto, Coimbra, Lisboa, Fatima and more from Madrid. 1st. Day (Saturday) MADRID-AVILA-SALAMANCAPORTO (568 kms) Departure from our bus terminal at 8:00 a.m. to Avila, castilian city which preserves its medieval wall. Free time to admire the walled city and old quarter and continuation to Salamanca. Time at leisure to walk through this monumental city and its famous Plaza Mayor. Departure to the Portuguese border to continue towards Porto. Dinner and accommodations. 2nd. Day (Sunday) PORTO Breakfast. Porto is considered as World Heritage city. Panoramic tour to admire the Cathedral, the Stock Exchange building, St. Clara church... we will finalize at a local winecellar to enjoy a tasting of the famous “Port wine”. Dinner and accommodation. 3rd. Day (Monday) PORTO-COIMBRA (120 kms) Breakfast. Departure to Coimbra, site of one of the oldest universities in Europe and birthplace of the Fado, the music of Portugal. Time at leisure. Dinner and accommodation. 4th. Day (Tuesday) COIMBRA-FATIMA-LISBON (222 kms) Breakfast. 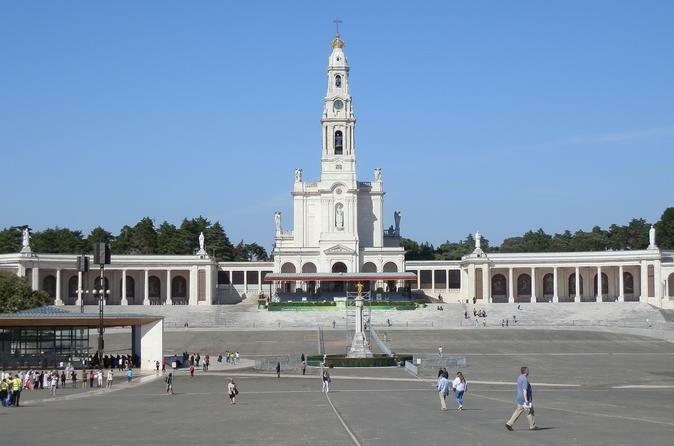 Departure to Fatima, important pilgrimage centre. Free time to visit the Shrine and afterwards continuation to Lisbon, the capital of Portugal located at the mouth of the river Tagus. Accommodation. Optional night tour to attend a show of Fado, typical Portuguese songs and music. 5th. Day (Wednesday) LISBON Breakfast and accommodation. Morning city sightseeing tour: old Alfama Quarter, Tower of Belem, Monastery of Los Jeronimos, etc. Afternoon at leisure. Optional tour to Sintra, Cascais and Estoril. 6th. Day (Thursday) LISBON-CACERES-MADRID (613 kms) Breakfast. Departure to the border with Spain and continuation to Caceres. Time at leisure to know its Plaza Mayor and to walk through the old city and its famous medieval quarter, very well preserved and considered as World Heritage place. Lunch at your own. Continuation to Madrid. Arrival and end of our services.